This organization shall be known as the Portland Democratic City Committee (hereinafter called “City Committee”). 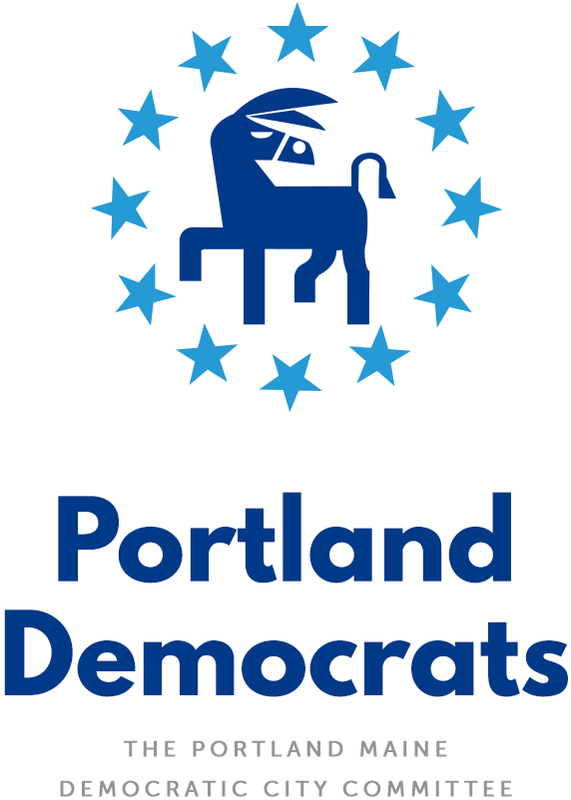 The mission of the Portland Democratic City Committee is to advance Democratic values and principles, considering the needs of all and the rights of each. We believe in truly inclusive, participatory, transparent, and democratic governance based in the equality of all citizens, and strive to model these values in our organization and community. To achieve our goals, we seek to build a large, engaged community of active voters, volunteers and activists; to be a strong and effective voice in local and state policy decisions; and to elect Democrats to local, state, and national office. When more than one Democrat is seeking an elected office, the PDCC does not take sides, but seeks to inform voters about all of their Democratic choices. Section 1. Methods of Qualifying for Membership. Section 2. Membership at Time of Adoption of By-Laws. All members of the City Committee as of the date of adoption of these bylaws shall be deemed members of the City Committee. Section 3. Removal of Members. (a) Members shall be automatically removed if they cease to be registered as Democrats in Portland. The Secretary, or other properly designated committee member, shall conduct this removal at least annually, after each municipal election, by inspecting the Portland Democratic Party enrollment, as obtained from the Portland City Clerk. (b) A member of the City Committee may be removed for persistent disruptive behavior or serious ethical violations, as determined by a two-thirds vote of the membership at a regular meeting. The Secretary or their designee shall provide the member and the membership with written notice of the basis for removal prior to this meeting, and the member must be given the opportunity to be heard before the City Committee prior to the vote for removal. All PDCC members are members of all PDCC subcommittees. (a) Contact information for all PDCC officers and subcommittee chairs, who shall be provided with PDCC email addresses, shall be posted on the PDCC website. (b) Access to and use of the PDCC email list shall be restricted to PDCC officers and subcommittee chairs doing the business of the PDCC. Section 6. Policy of Inclusion. All PDCC members are welcome to attend all PDCC events regardless of ability to pay. The Biennial Meeting shall be the Biennial municipal caucus. (a) It shall be called in accordance with the rules prescribed by the Democratic Party of Maine. (b) The Chairperson shall appoint a registered Democrat from each precinct and/or district for the purpose of supervising a caucus election for delegates and alternates to the State Convention of the Democratic Party of Maine. Regular meetings shall be held once a month except when the Executive Committee finds reason not to conduct a meeting. However, regular meetings shall no held no less than 8 times a year. Upon receipt of a written or email request from a majority of officers or any five members of the City Committee, the Chair shall call a special meeting to be held within thirty (30) days to discuss any business mentioned in the request. Whenever a special meeting is held upon request, the notification and agenda requirements contained in Section 5 below shall be mandatory. Section 4. Quorum; Action by Majority Vote. A quorum shall be fifteen (15) members of the City Committee. When less than 15 members of the City Committee are present at any meeting, no effective action may be taken except to adjourn. Except where otherwise provided in these bylaws, actions of the City Committee shall be taken by a majority vote of those members present. Section 5. Meeting Agenda and Notice Requirements. The Chair is responsible for establishing the agenda of meetings. Items may be placed on the agenda in one of four ways: (1) by the Chair, (2) by two or more officers, (3) by written or email request to the Chair of at least three members of the City Committee, received at least fourteen (14) days prior to the next scheduled meeting, or (4) by motion at a City Committee meeting upon the approval of two-thirds (2/3) of the members present. The following shall be included in a regular meeting: (a) call to order, (b) reading of minutes of last meeting, (c) reports of the Treasurer and committees, and, when applicable, (d) unfinished business, and (e) new business. Each City Committee member shall be given seven (7) days notice and a written agenda prior to the holding of a City Committee meeting. Said notice shall specifically advise the members of any prospective vote including officer elections, member or officer removals, or bylaws revisions or amendments. The Chair shall be responsible for the orderly conduct of the meetings. The rules contained in the current edition of Robert’s Rules of Order shall govern the City Committee in all cases in which they are consistent with these bylaws and any rules of order the City Committee may adopt. Section 7. Prohibition of Proxy Voting. At no time shall proxy voting be permitted. Section 1. Officers of City Committee. The officers of the City Committee shall consist of a Chairperson, Vice-Chairperson, Treasurer and Secretary. Only members of the City Committee are eligible to be officers. Except for the temporary assumption of an office due to vacancy, no person shall hold more than one (1) office simultaneously. The Chairperson is the Chief Executive Officer of the City Committee, with responsibility for all executive functions of the City Committee. The Chairperson shall preside at all meetings of the City Committee and Executive Committee. The Chairperson shall, in addition to the Treasurer, be authorized to sign all check drafts and all orders for payment of money. The Chairperson shall be an ex officio member of all standing subcommittees of the City Committee. It shall be his/her duty to appoint the chairpersons of all standing subcommittees of the City Committee. In the event of absence of the chairperson, the Vice-Chairperson shall preside at all meetings of the City Committee and the Executive Committee. The Vice-Chairperson shall assist the Chairperson as he/she may request. (ii) at each general meeting, the current balance of the account, including the prior month’s expenditures and revenue, as well as the next month’s anticipated or obligated expenditures of $250 or more. 2. The Treasurer is authorized to sign all checks, drafts and orders for payment of money. 3. The Treasurer’s accounts and records may be audited when such an audit is requested by placement on the agenda in accordance with Article IV, Section 5, and approved by a majority of the membership. Any subsequent audits requested within a two-year period must be approved by a two-thirds majority of the membership. The Secretary shall be the recording and corresponding officer of the City Committee. The Secretary shall be present at all meetings, shall keep complete and accurate records of all meetings, and shall seasonably file a duplicate copy of such record with the Chairperson. The Secretary shall hold the record of all meetings open for inspection by all members at any reasonable time. He/she shall be responsible for notifying in writing all members of all meetings. It shall be his/her duty to maintain and keep current the membership list of the City Committee. The Secretary shall take attendance and shall furnish to the Chairperson at each meeting a list of those members who have been absent for four (4) consecutive meetings. 1. Officers will base their decisions in the best interest of the Committee as a whole. 2. Officers and their families may not benefit financially from their conduct of Committee business. 3. Officers will not make public representations of political positions, opinions or endorsements as being those of the Committee without a majority vote of the membership supporting these. 4. Officers will in their public behavior uphold the Committee requirement of neutrality in Democratic primaries and municipal non-partisan races with respect to Democratic candidates as laid out in Article II, Mission and Purpose. Officers of the City Committee shall be nominated and elected for two-year terms at a meeting to be held within 2 weeks after the November General Election subsequent to the Biennial Meeting in accordance with procedures prescribed by these By-Laws and any applicable rules of the Democratic Party of Maine. The voting procedure shall be as follows: (1) nominations shall be taken from the floor; (b) the members present shall elect the officers by a majority vote; and (c) should no one candidate obtain a majority on the first ballot, the two candidates with the highest vote totals shall have their names placed before the City Committee for a second ballot. Prior to voting, all candidates shall be afforded an opportunity to speak. Section 3. Filling of Vacancy. (a) In the event of a vacancy in any of the offices, a special election shall be held at the next regular meeting of the City Committee. The same procedures specified in Section 2 of this Article VI shall govern. (b) In the event of a vacancy in the position of Chairperson, the Vice-Chairperson shall be acting Chairperson until the election is held. (c) In the event of a vacancy in any other office, the Chairperson shall appoint a member to be an acting officer until the election is held. (a) A petition to remove any officer must be submitted at a regular meeting by a majority of the members attending said meeting. The petition shall state the reason why the officer should be removed. (b) The removal election shall be held at the next meeting of the City Committee. (c) All members shall receive seven (7) days notice of the meeting. (d) An officer shall be removed from office by a vote of two-thirds (2/3) of those members present at the meeting held for the purpose of removal. (e) A vacancy resulting from a removal election shall be filled in the same manner prescribed above. The purpose of the Executive Committee shall be to steer and guide the City Committee. It shall be authorized to approve the expenditure of funds as set forth in Article IX. The Executive Committee shall be composed of the Chairperson, Vice Chairperson, Treasurer, Secretary, Editor of Newsletter and Chairpersons of the standing subcommittees. Section 3. Chairperson and Secretary. The Chairperson and Secretary of the City Committee shall be the Chairperson and Secretary of the Executive Committee. Section 4. Selection of Subcommittee Chairpersons. The Chairperson shall select the chairpersons of the standing subcommittees. Section 5. Selection of Subcommittee Members. The Executive Committee shall select members of the standing subcommittees. Section 6. Meetings of Executive Committee. The Executive Committee shall meet on call of the Chairperson at his/her discretion, or upon written request of a majority of members of the Executive Committee. a. The Finance Subcommittee is responsible for formulating an annual budget for review and approval by a majority of the membership, and for fund-raising. 1. The Finance Subcommittee will bring a proposed budget to the regular City Committee meeting for review and discussion. 2. The following month, the Finance Subcommittee will bring a revised budget to the regular City Committee meeting for majority approval. b. Programs and Issues Subcommittee – The Programs and Issues Subcommittee is responsible for planning programs for City Committee meetings and establishing procedures to inform the citizens of Maine the position of the City Committee on the issues of the day. This Subcommittee shall report in writing to the City Committee at least once every two months. c. Bylaws and Organization Subcommittee – The By-Laws and Organization Subcommittee is responsible for periodically reviewing the bylaws and organizational structure of the City Committee and making such recommendations as are appropriate. This Subcommittee shall report in writing to the City Committee at least annually. Expenditures in a budget approved by membership may be spent as authorized by the Chair or Treasurer for the intended purpose. a. Individual expenditures up to $100 may be authorized by the Chairperson or Treasurer. b. Individual expenditures of more than $100 but less than or equal to $500 may be authorized by a majority vote of the elected officers. c. Individual expenditures greater than $500 may only be authorized by a majority of those members present at a regular City Committee meeting. Such a proposed expenditure must be included in the agenda publicized before the meeting. The By-Laws and Organization Subcommittee may submit at any regularly scheduled meeting a petition to amend the By-Laws, with specific language of any proposed amendment. The petition shall be voted on at the next regular meeting and shall be affirmed only upon a vote of two-thirds (2/3) of those members present.